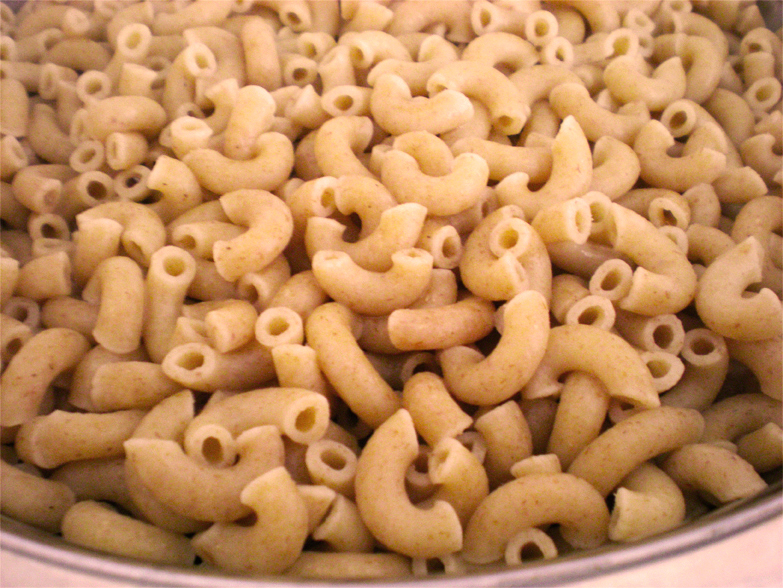 In a large pot, cook the whole wheat elbow macaroni until al dente. 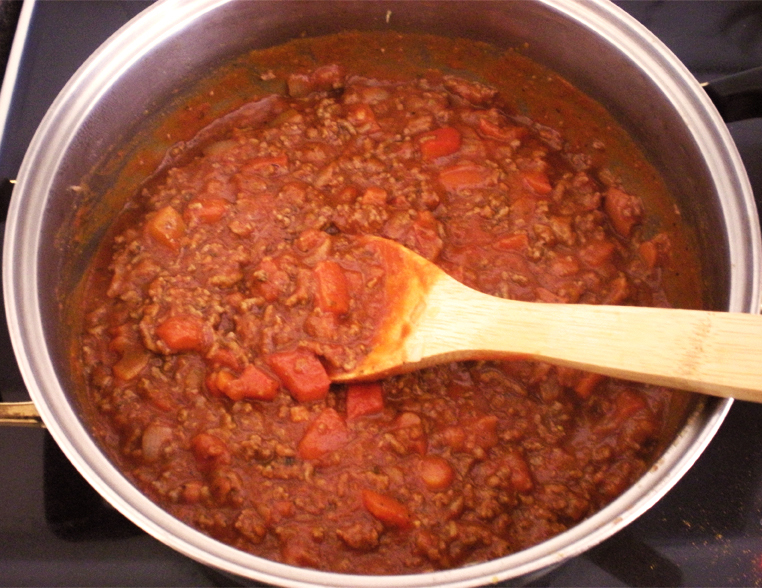 Drain it and it put back into the pot. 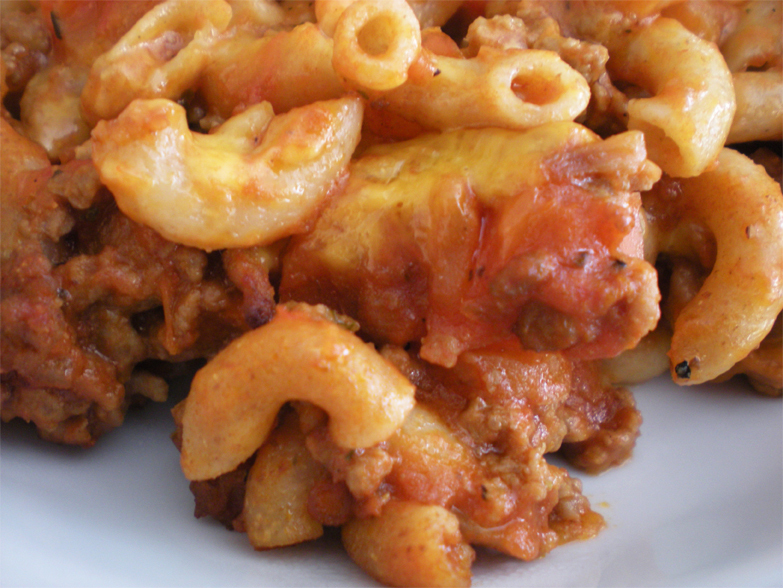 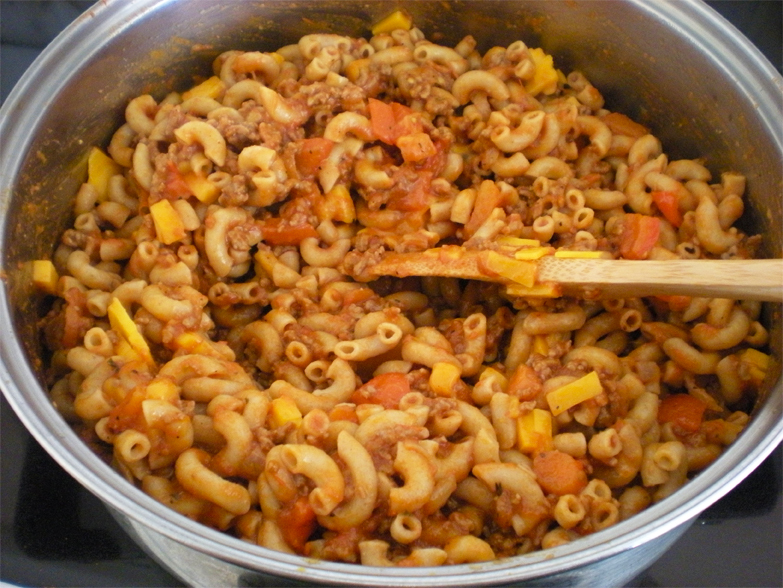 Take your prepared Quick Meat Sauce and add it right into the pot with the macaroni. 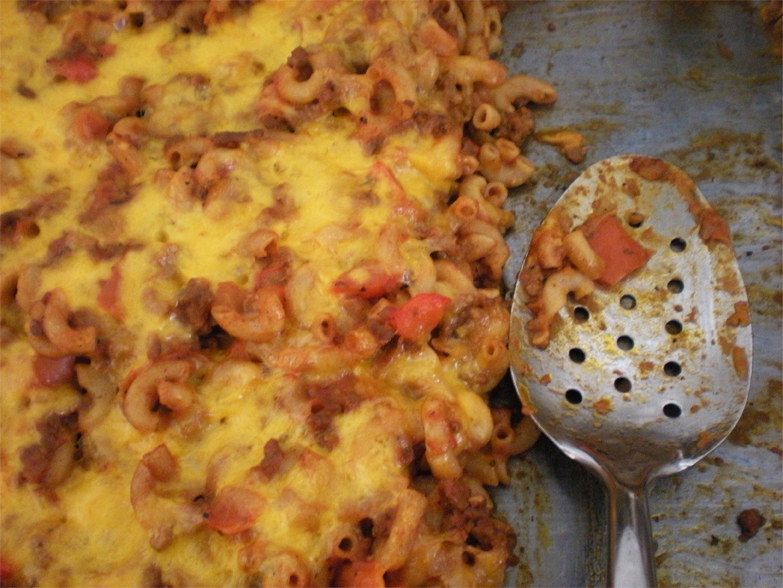 Add 1 cup shredded cheddar cheese to it and mix thoroughly, making sure to cover all of the pasta with the sauce. 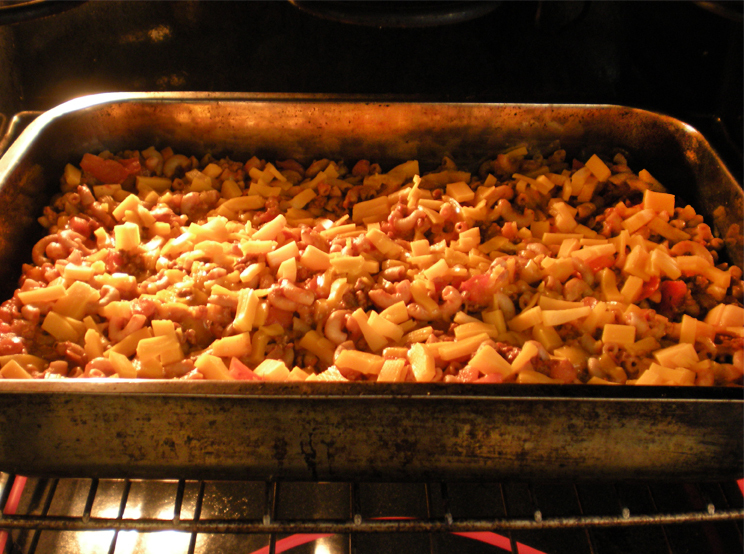 Pour all of the mixture into an oven-safe dish. 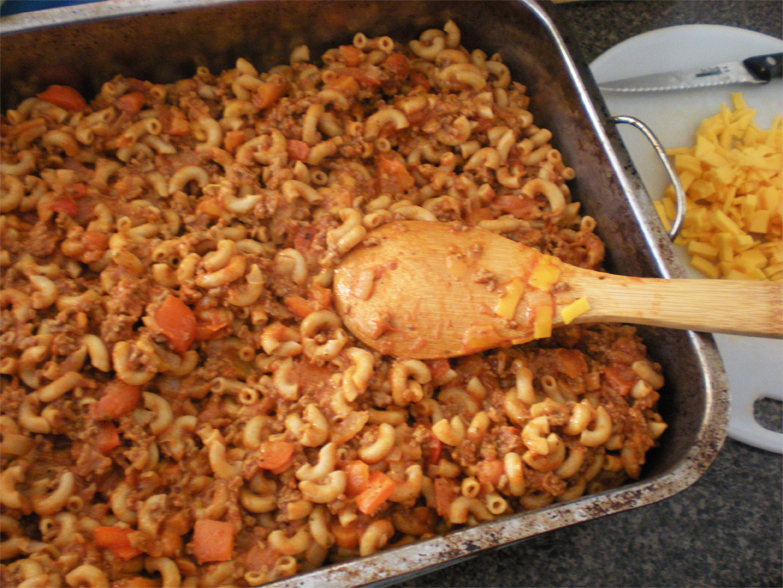 Spread it out so it’s level. 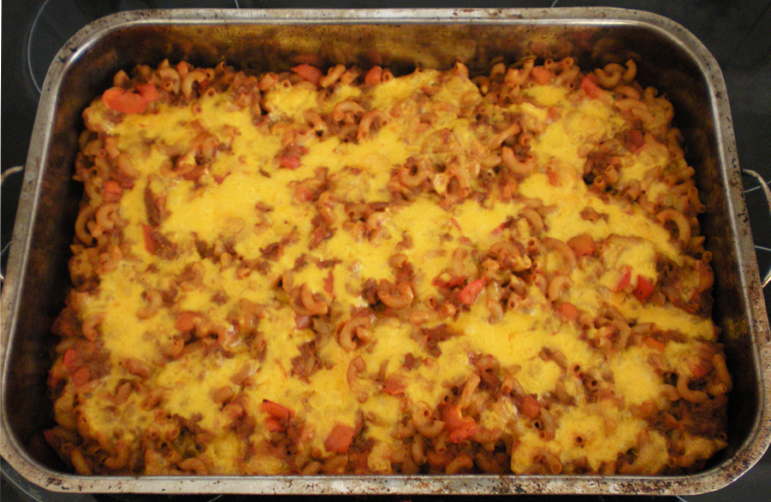 Next, take the other cup of shredded cheddar cheese, and sprinkle evenly on top. 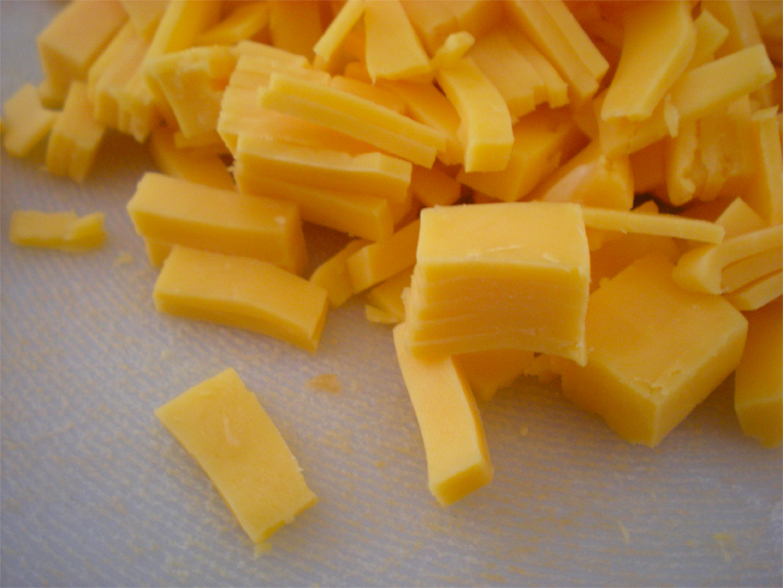 Bake at 350˚F for about 20 – 25 minutes, until cheese is melted and bubbly.